by Jackson, Donald, Ronda, James P.
Jackson, Donald, Ronda, James P.
Although he did not travel farther inland than the slopes of the Appalachians, Thomas Jefferson must take his place alongside Zebulon Pike, Kit Carson, Jim Bridger, and Lewis and Clark--the men who blazed the great western trails. 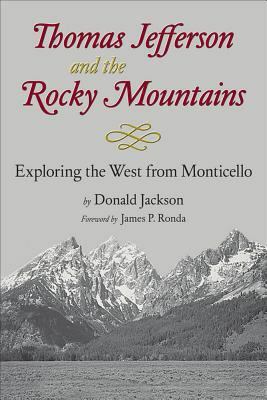 Donald Jackson cogently recounts Jefferson's fundamental role in promoting and shaping the exploration, settlement, and development of the Trans-Mississippi West.Jackson, Donald is the author of 'Thomas Jefferson & the Rocky Mountains Exploring the West from Monticello', published 1993 under ISBN 9780806125046 and ISBN 0806125047. Loading marketplace prices 147 copies from $8.99 How does the rental process work?